100% natural - no additives. We offer two types of wood pellets - standard and premium. Both types are 6 mm diameter. JM Envirofuels are on the Biomass Suppliers List. Wood pellets are used by our domestic and small commercial customers. Because pellets are more dense than chips, they require less storage space. Because we offer two grades of high quality pellets, JM Envirofuels offers a choice not offered by competitors. Our premium wood pellets are made from 100% virgin timber and are produced to the EN Grade A. These wood pellets are also subject to dust extraction. 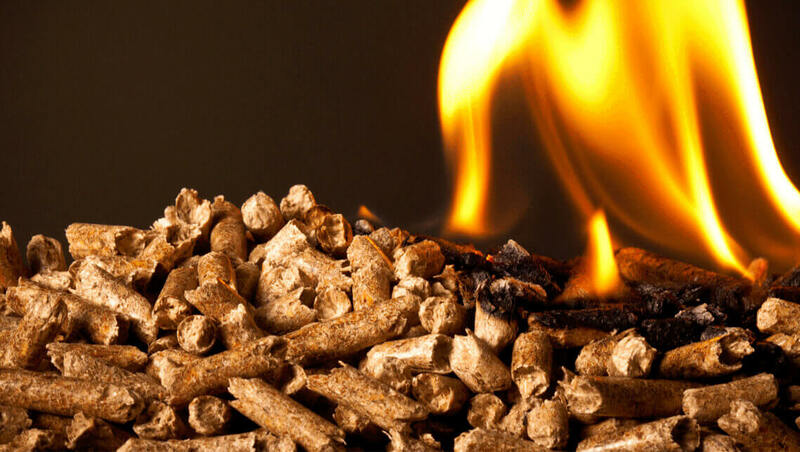 These pellets offer the best available fuel for domestic and small pellet boilers. It supports the local forestry industry. Its production improves woodland management and ecology. Premium pellets are the ultimate pellet fuel, particularly suitable for the smallest pellet boilers which can be very sensitive to fuel quality. Our Premium Grade pellet boiler users benefit from high efficiency, reliable operation and low maintenance. Our standard grade wood pellets are made in the Midlands from clean, recycled (Grade A) timber. These wood pellets are classified as meeting EN grade B. Upon loading, the pellets are subject to dust extraction for optimum quality. Our standard grade pellets provide a reliable and cost-effective solution for medium to large commercial boilers. Because our standard grade pellets are made from recycled wood, they reduce the amount of wood which is wasted. Our wood recycling operation processes many hundreds of thousands of tonnes a year, so we can be sure of raw material availability and our customers benefit from long term security. All pellets are sold by the tonne for bulk deliveries, or by the bag or pallet for bagged product. Prior to dispatch, every load of wood chip is examined and a sample taken for moisture and particle size testing. All our customers will be assigned a dedicated Account Manager who is the main point of contact at the company. He or she will deal with any queries and will provide technical support, including site visits, should the need arise. Our experience, which includes operating our own wood chip boilers, means that we are often able to help customers with their boilers before the installer can! Our wood pellet delivery tanker provides bulk blown deliveries of between 4 Tonnes (minimum order) and 19 tonnes. This lorry can blow up to 15 m. Potential new customers will receive a no-charge site visit from JM Envirofuels prior to the first delivery to check for access and suitable delivery points. Both grades of pellets can also be provided in either 15 kg bags, 100 per pallet, or loose in 1-tonne bulk bags. These can either be collected from our Telford depot, or delivered by pallet courier.